Very low calorie diet shake for women! 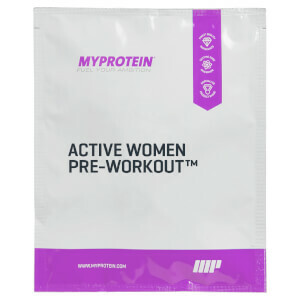 Active Women Meal Replacement™ is a complete meal solution containing our signature blend of vitamins and minerals, designed to meet your appetite demands and our quality standards. This product boasts a strong macronutrient profile and added minerals, fibre and vitamins, however we don’t sacrifice on taste with our fantastic choice of mouth-watering natural flavours - discover your favourite today! 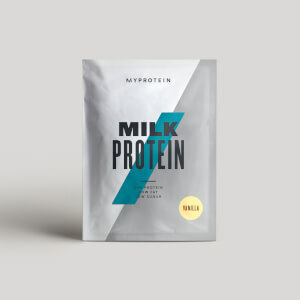 Protein - this nutrient dense formula delivers over 17g of protein per serving; protein contributes to the growth and maintenance of muscle mass. Calorie content - perfectly tailored towards calorie controlled diets with approximately 200 calories per serving. Formulation - specific selection of minerals, fibre and vitamins such as Biotin, which contributes to normal energy yielding metabolism. Natural Flavourings -Vanilla, Strawberry, Chocolate and Banana selections. Added Inulin - To complement the vitamins and minerals in this blend, we’ve added Inulin. This amazing dietary fibre was recently featured on the BBC’s ‘How to Stay Young’ documentary. Our products have been specifically formulated to fit your lifestyle. Used by a variety of people whether you are on a calorie controlled diet plan, always on the run or a career professional with hectic travel demands this product is perfect to suit your goals and needs. Active Women Meal Replacement™ is a tasty, convenient and cost-effective way to manage your lifestyle. This product can be consumed in place of any meal, any time of the day. Its incredible versatility means you choose to consume this 3 times a day as a substitute for meals or simply have at hand when a nutritious meal is not an option. 1. Add 1 scoop to 200-300ml of cold water or a milk source of your choice. Use a blender or the Active Women hand held shaker for about 30 seconds. 2. Products presented as a replacement for one or more meals of the daily diet. It is importance of maintaining an adequate daily fluid intake. The products are useful for the intended use only as part of an energy - restricted diet and that other foodstuffs should be a necessary part of such diet. 3. For optimal benefits, we recommend you consume pre or post workout. Natural Banana Flavour: Skimmed Milk Powder (41%), Whey Protein Concentrate (11%) (Contains Milk and Soy), Fat Concentrated Powder (11%) (Refined Soy Bean Oil, Maltodextrin, Milk Proteins), Soy Protein (11%), Creamer Concentrated Powder (8%)(Refined Coconut Oil, Whey Powder (Milk), Milk Protein), Maltodextrin, Inulin, Tripotassium Citrate, Flavouring (Colour (Curcumin), Natural Flavouring, Sweetener (Sucralose)), Thickener (Xanthan Gum), Acetyl L Carnitine, Di Potassium Phosphate, Sodium Chloride, Calcium Chloride Dihydrate, Vitamin and Mineral Premix (Folic Acid, Vitamin C, Niacin, Iron, Vitamin E, Zinc, Pantothenic Acid, Fluoride, Manganese, Vitamin B6, Vitamin B2, Vitamin B1, Copper, Vitamin A, Iodine, Vitamin K, Selenium, Molybdenum, Biotin, Chromium, Vitamin D, Vitamin B12), Magnesium Oxide. Natural Chocolate Flavour: Skimmed Milk Powder (40%), Whey Protein Concentrate (12%) (Contains Milk and Soy), Fat Concentrated Powder (11%) (Refined Soy Bean Oil, Maltodextrin, Milk Proteins), Soy Protein (10%), Creamer Concentrated Powder (8%) (Refined Coconut Oil, Whey Powder (Milk), Milk Protein), Flavouring (Cocoa Powder, Sweetener (Sucralose), Natural Flavouring), Maltodextrin, Inulin, Tripotassium Citrate, Thickener (Xanthan Gum), Acetyl L Carnitine, Di Potassium Phosphate, Calcium Chloride, Vitamin and Mineral Premix (Folic Acid, Vitamin C, Niacin, Iron, Vitamin E, Zinc, Pantothenic Acid, Fluoride, Manganese, Vitamin B6, Vitamin B2, Vitamin B1, Copper, Vitamin A, Iodine, Vitamin K, Selenium, Molybdenum, Biotin, Chromium, Vitamin D, Vitamin B12), Magnesium Oxide, Sodium Chloride. Natural Strawberry Flavour: Skimmed Milk Powder (41%), Whey Protein Concentrate (11%) (Contains Milk and Soy), Fat Concentrated Powder (11%) (Refined Soy Bean Oil, Maltodextrin, Milk Proteins), Soy Protein (10%), Creamer Concentrated Powder (8%)(Refined Coconut Oil, Whey Powder (Milk), Milk Protein), Maltodextrin, Flavouring (Beetroot Juice Powder, Sweetener (Sucralose), Natural Flavouring), Inulin, Tripotassium Citrate, Thickener (Xanthan Gum), Acetyl L Carnitine, Di Potassium Phosphate, Sodium Chloride, Calcium Chloride Dihydrate, Vitamin and Mineral Premix (Folic Acid, Vitamin C, Niacin, Iron, Vitamin E, Zinc, Pantothenic Acid, Fluoride, Manganese, Vitamin B6, Vitamin B2, Vitamin B1, Copper, Vitamin A, Iodine, Vitamin K, Selenium, Molybdenum, Biotin, Chromium, Vitamin D, Vitamin B12), Magnesium Oxide. Natural Vanilla flavour: Skimmed Milk Powder (41%), Whey Protein Concentrate (11%) (Contains Milk and Soy), Fat Concentrated Powder (11%) (Refined Soy Bean Oil, Maltodextrin, Milk Proteins), Soy Protein (11%), Creamer Concentrated Powder (8%)(Refined Coconut Oil, Whey Powder (Milk), Milk Protein), Maltodextrin, Inulin, Flavouring (Natural Flavouring, Sweetener (Sucralose)), Tripotassium Citrate, Thickener (Xanthan Gum), Acetyl L Carnitine, Di Potassium Phosphate, Sodium Chloride, Calcium Chloride Dihydrate, Vitamin and Mineral Premix (Folic Acid, Vitamin C, Niacin, Iron, Vitamin E, Zinc, Pantothenic Acid, Fluoride, Manganese, Vitamin B6, Vitamin B2, Vitamin B1, Copper, Vitamin A, Iodine, Vitamin K, Selenium, Molybdenum, Biotin, Chromium, Vitamin D, Vitamin B12), Magnesium Oxide. The nutritional information is based on the Natural Banana Flavour, when choosing an alternative flavour the nutritional values may vary. A natural banana flavour with dairy and protein powder blends with added vitamins and minerals and sweetener. Use in conjunction with food as a Meal Replacement for weight control. A natural chocolate flavour with dairy and protein powder blends with added vitamins and minerals and sweetener. Use in conjunction with food as a Meal Replacement for weight control. A natural strawberry flavour with dairy and protein powder blends with added vitamins and minerals and sweetener. Use in conjunction with food as a Meal Replacement for weight control. A natural vanilla flavour with dairy and protein powder blends with added vitamins and minerals and sweetener. Use in conjunction with food as a Meal Replacement for weight control. Save an EXTRA 30% off our Easter SALE! Decided to buy two samples in case I didn't like a flavour after buying a large pouch. I found the Velvet Vanilla the best. It tastes like having a dessert for breakfast (if you're using it to replace your breakfast). I was pretty happy with it. I am a huge chocolate fan and I found the Chocolate Truffle quite bad. Maybe it just wasn't for me, but I'm glad I got the sample packets. It also kept me full for long. I mixed it with skim milk and it was thick enough. Velvet Vanilla- I'd totally recommend. Honestly think these are the best shakes I have ever tasted! I could easily drink these throughout the day let alone the twice I have them (One in the morning with added Hemp seeds and Super green blend) and One in the evening. Ive just bought loads more after buying a few samples. Ive now purchasd over 40 packets to do till next month over the Christmas period. PLEASE do not change the recipe! You've got it bang on!! I completely agree with the other reviewer that the strawberry flavour tastes just like Angel Delight! I mixed it with almond milk and it mixes pretty well and it was genuinely enjoyable to drink. It kept me full for a few hours so I definitely recommend this shake if you're looking to diet or even if you're just looking to ensure that you get enough nutrients each day! Bought these for my partner, she finds the sachets so much more convenient and they have helped her lose 8lbs in weight so far. I'm glad I've actually found a product she likes the taste of as well. She loves the vanilla flavor. 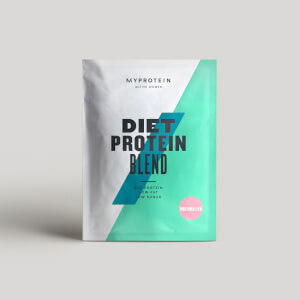 I had tried to BooTea shake before trying this one (I got it in the chocolate truffle and I had tried the BooTea in the Vanilla) definitely will be buying the myprotein over the bootea. Both are sweet but the BooTea was almost sickly sweet but with the my protein I can drink it with no problems and actually really enjoy it! I use it as my breakfast meal replacement (I think my protein should out more emphasis on only using it once a day as a meal replacement) and it keeps me full until lunch time! the price is so good as well, definitely worth every penny. I’ve tried all flavours and the vanilla is definately the best! I have it with almond milk in the mornings and it keeps me full til lunch. Mixes well in a my protein shaker. 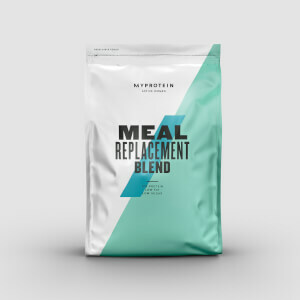 I've tried other meal replacements, but decided to try the sample from Myprotein. Very tasty and easy to mix, there's no lumps. However, too sweet! Therefore I wouldn't buy the 1Kg pack, because I'd get sick. It's extremely sweet. Bought these for my partner, she finds the sachets so much more convenient and they have helped her lose 8lbs in weight so far. I'm glad I've actually found a product she likes the taste of as well.